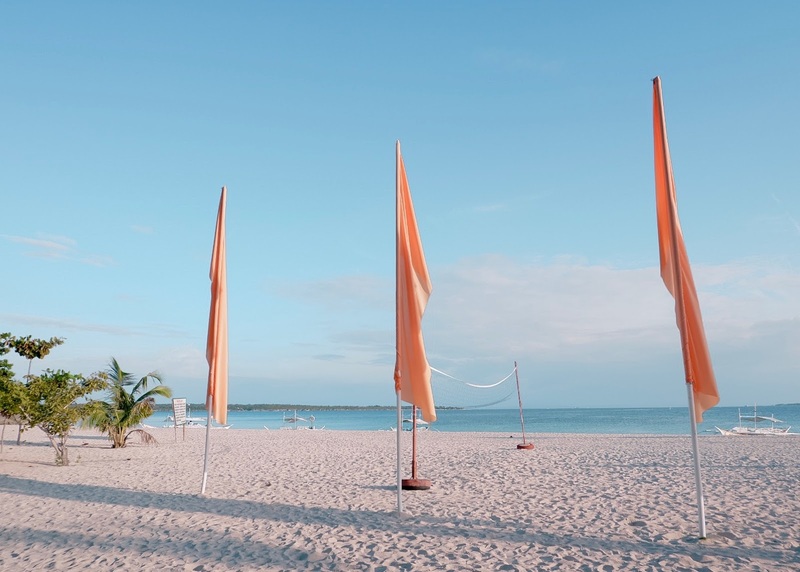 Last year, I made a promise to visit Bantayan Island at least once a year. And this year, as soon as the new year started, I am so happy that I got to explore the beautiful island again. 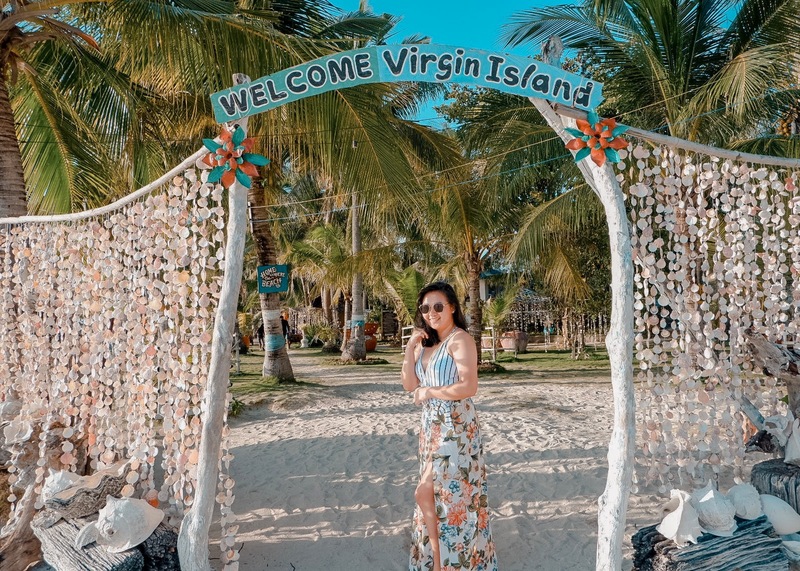 And what made my latest escapade better was I finally got to visit the very famous, Virgin Island. 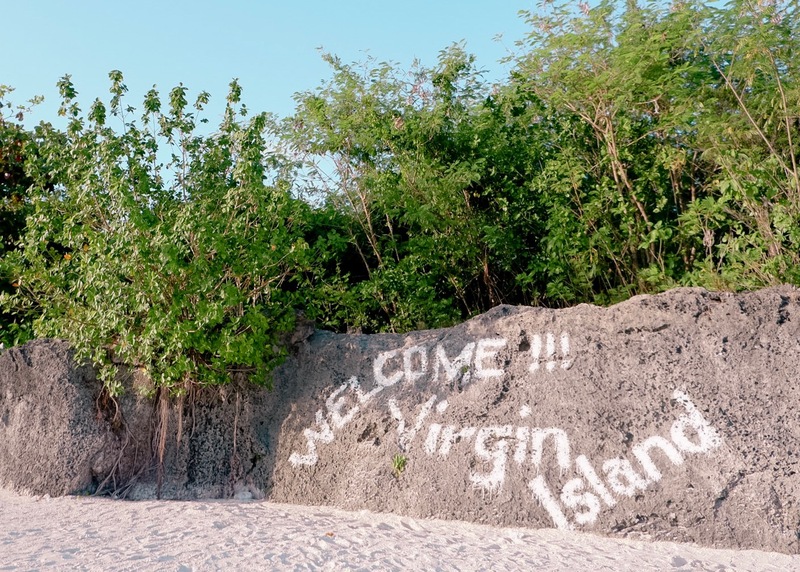 Some of you may not know it but Virgin Island is also called Silion Island. 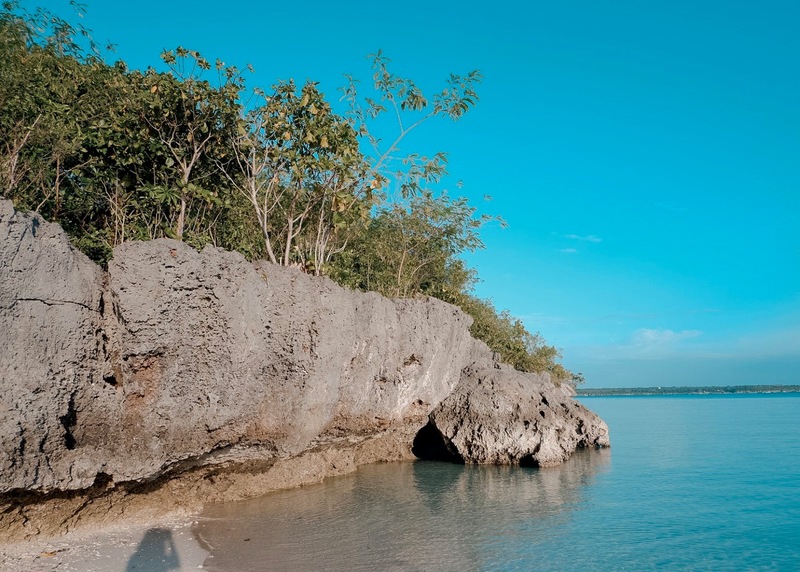 Maybe the term "virgin" was coined as the island was once an untouched paradise. Of course, right? But through the years, the island was continually developed to cater the tourists flocking in which I can say, that the island is just not virgin anymore. Haha. 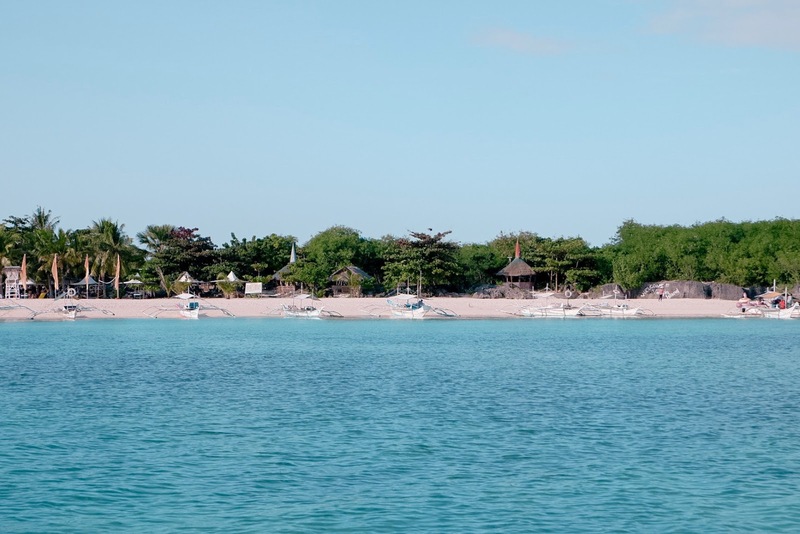 Nevertheless, the island is still beautiful as it is, the sands are fine and white, and the waters are crystal clear. I won't give you an extensive guide on how to get to the island because I'm very sure that there are lots of blogs and articles about it already so just Google it instead. 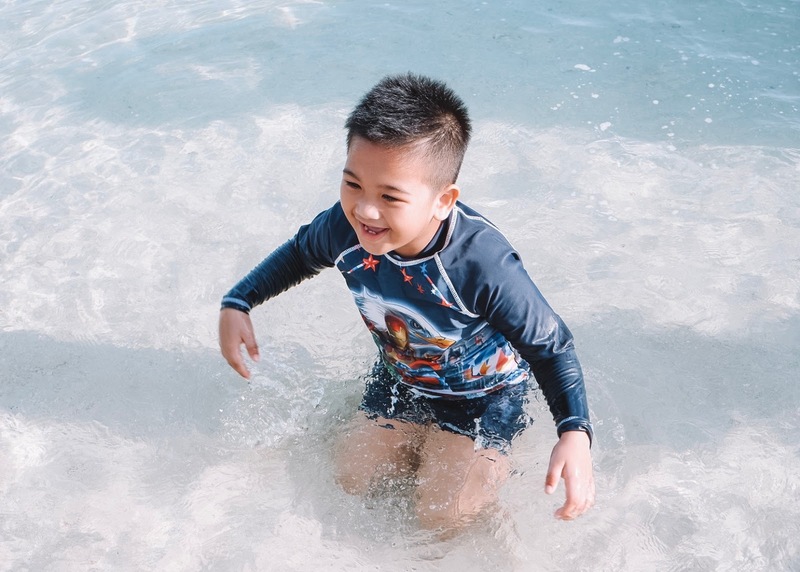 Also, getting there is easy as 123 because as soon as you set foot on Bantayan Island, local guides will be greeting you and offering to take you to the island. In our case, our cousin already had a suki so she contacted him and he arranged the island tour for us. There were eight of us and we paid Php 150 each for a roundtrip boat fare. It was already 4PM when we arrived at the island. 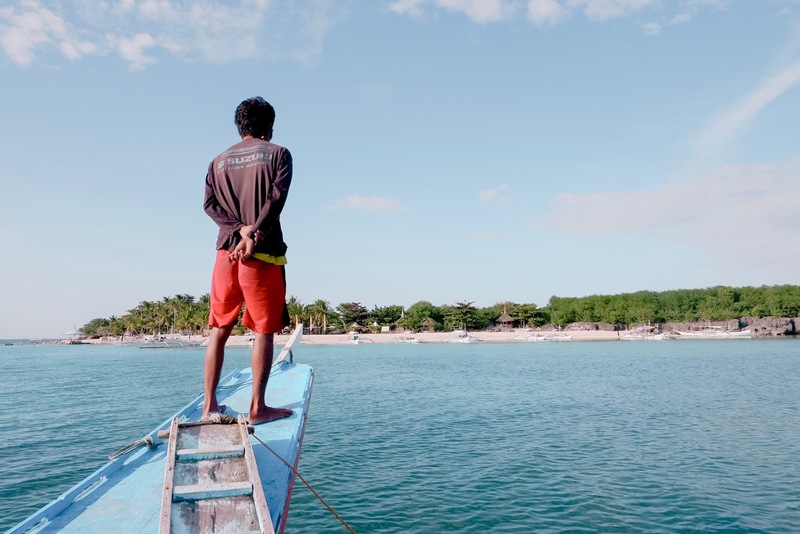 Every boat that docks into the island, one staff is assigned to greet and count the number of people on that boat for the entrance fee. As you can see on the photo below, it says that the first two people is Php 500 and excess person is at Php 100 each with a maximum of two only. 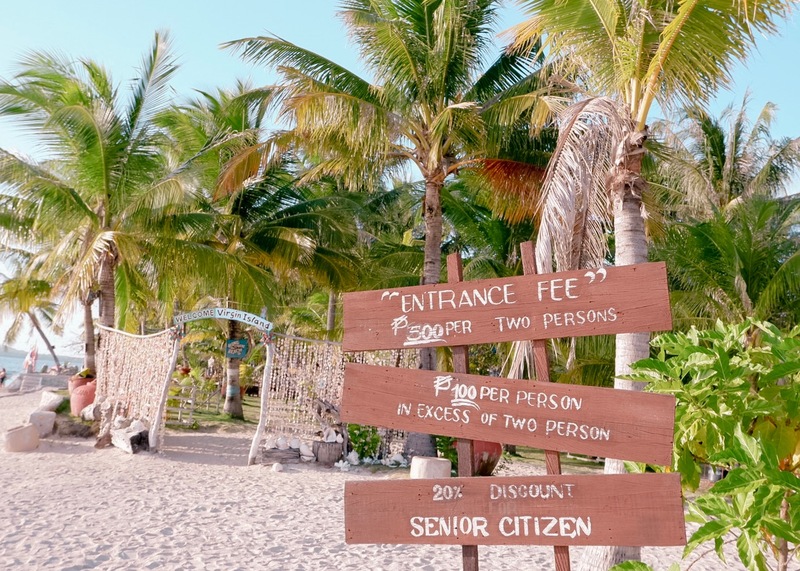 So that means, a group of four people should pay Php 700 and that should be Php 175 per person. This setup is kind of confusing especially for large groups and I doubt that the staff follow this policy too. Why? Let's do the math. Our group had seven paying adults because Zayn was free of charge and I'm sorry I haven't asked of the age limit. So if you calculate that, the first four people is Php 700. The next two people is Php 500 and one excess person is Php 100. So our group should pay Php 1300. Instead, the staff only asked for Php 1000 (Php 143 each). So he calculated it as first two people equals Php 500 and the five others were only asked of Php 100 excess charge each. See? It was fortunate that we were able to save Php 300 but maybe they should change their signage already. Ranting mama. Hahaha! Moving on, based on the title, our trip to Virgin Island was unfortunately very quick because we only had an hour left to explore the island. The island closes at 5PM for day use guests and boats must leave because the tides are already low during that time. 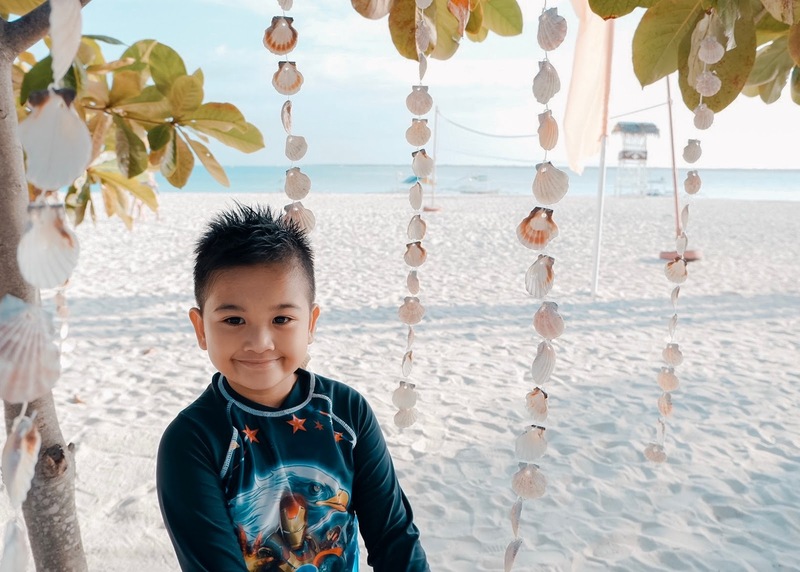 So we took photos here and there and spent the last few minutes enjoying the view of the sunset, swimming in the beach, and playing with Zayn in the water. Despite the limited time we had at the island, it was still worth the 30-minute boat ride (one way). I'm thinking of going back to the island one day and spend at least one whole day to make the most out of the island next time. Until then, Virgin Island! You had a great time there undoubtedly, may you both create great memories together. You had a nice time Virgin Island. The pictures really want me to leave work and travel down there. So beautiful and look undefiled. A beautiful place.reminds me of Goa beaches. Virgin Island looks absolutely stunning. I want to go there... right now!!! Thank you for sharing this beauty. Gosh I would love to visit - pictures look to die for! That water!!! How beautiful-so clear and blue!! My eyes needed this treat!! Thanks!! Looks like a beautiful place to take a quick trip to. I have always wanted to visit the Virgin Islands! I cannot wait to start my own family so that we can travel together. Looks like you guys had a fantastic time in Virgin Island. I need to check this place out. I've never been to the Virgin Islands, but I have a couple of Caribbean friends who are from their. The island looks lovely based on your photos and descriptions.